Ethnic wear for women can never be out of fashion. Every time they appeal the ladies with some miraculous experiment and one of such cutting-edge type of ethnic wear is named as Anarkali suits. Anarkali gowns look more elegant, cool and wonderful fit for making your identity alluring and enchanting. maybe this is the reason why they are loved by Indian woman’s at most. Sometimes few people use to argue with me that traditional suits looks more elegant and wonderful than the Anarkali Salwar suit hence, with this article I am going to clear why anarkali suits are better in all respect than the traditional salwar suit. In the pear shape body, hips are usually higher than the bust which makes ladies uncomfortable from buying any kind of dress and especially no to traditional salwar suit as it adds volume to their body. In such a case, Anarkali suits are considered ideal with eminent top embellishments that can draw attention to your bust and rarely make your lower part noticeable. This body shape reflects that your bust and hips are about the same size along with a well-defined waist good for traditional salwar suit also but best with Anarkali suits. For such figure, Anarkali style with an eminent top embellishment that draws attention towards your waist is the perfect outfit. In such a body shape your breast is heavy and waist is slim which you must want to highlight. However, it could not be possible in traditional salwar suit as it reflects a straight figure. 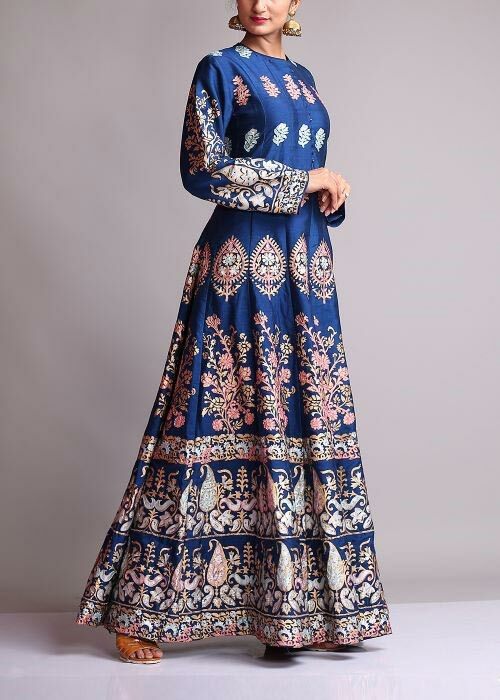 For such a body shape, women should opt for an Anarkali suit which starts flare from the waist to highlight your slim waist and hide the slightly out lower part. The waist is heavier comparison to bust and hips like the situation mainly faced by the women after pregnancy. How could you to even think to wear traditional salwar suit in such a figure? Anarkali style suit that is highly embellished from the bust area along with bottom area close to your feet can take everyone’s attention away from your heavier waist. For the women who have miraculous height love to wear Anarkali suits as these beautiful dress look great on tall women. It reflects your personality so perfectly which traditional salwar suit can never be. 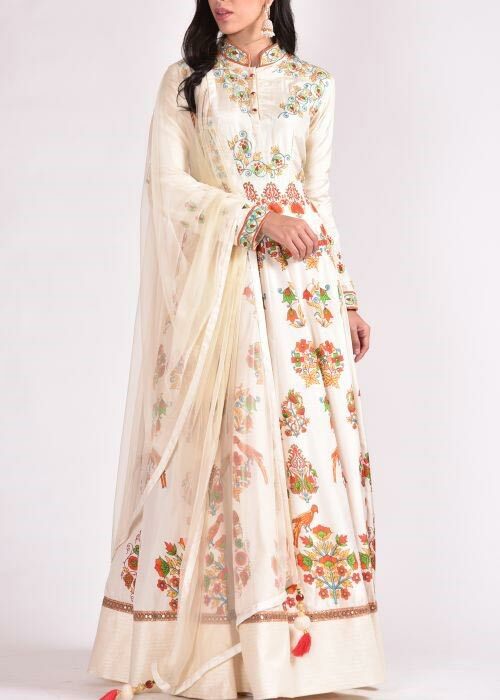 For tall girls, the Anarkali suit should be beautifully embroidered from your upper part till your waist and the rest should be simple which looks as elegant as an evening gown and add a charm to your beauty. 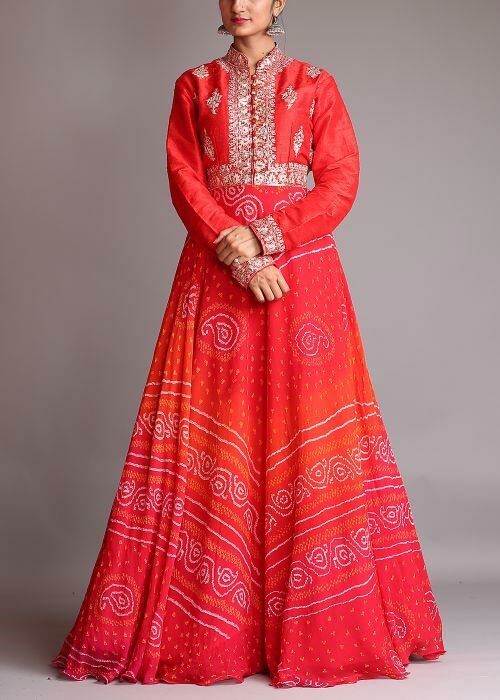 Amid the summer time, handling salwar suits or heavy work is not an easy task but the comfortable Anarkali suits do not matter how heavy it actually looks but it is still very cosy and breathable. Whether you are attending your office meeting or friend’s wedding Anarkali suits will always comfort you at most. Anarkali suits appeal the women at any age. This outfit is fit for any purpose or any occasion starting from a casual family dinner to the sangeet ceremony which makes the ladies crazy for this pattern. This was quite typical for some ladies to switch over suits from sarees but Anarkali made it possible. This elegant pattern allows every Indian lady to stand out in the suit without feeling uncomfortable. Anarkali suits are the hottest outfit in the school of ethnic wear. These suits are not new, they are part of our tradition since the Mughal Era and came back after a decade. Anarkali suits have become the first choice of Indian women whether she is leading model walking on the ramp or a housewife looking for a lavish outfit for her friend’s wedding. Short Women often seems to confuse what to wear which can make them look tall and elegant. Straight kurtas are good for them but to enjoy an elegant and royal look Anarkali suits are perfect for them. They should wear light and flowing fabrics blended with dark colors perfectly fitted and also heavy work should be on the upper part of the waist and the rest should be plain which can complement their look. I hope that now it is clear how Anarkali suits are better than Traditional salwar suit from every perspective. Through this article we have also learned which kind of Anarkali suits should be preferred by Indian Woman according to their shape, size and body because it’s better to arrive late than to arrive ugly.